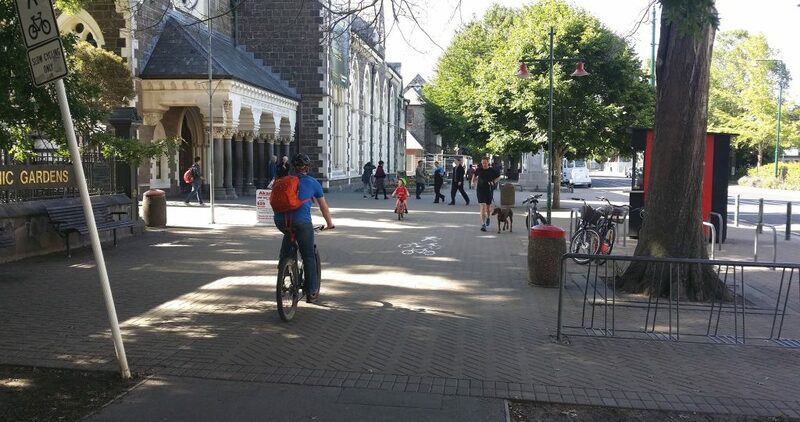 An interesting initiative is being considered by the Christchurch City Council. Following a deputation to a Community Board by a dog walker, the Council has agreed to to promote and encourage the use of bells on bicycles. 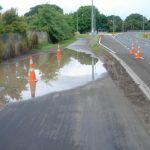 The concern is that, as cycling gets more popular with the development of the Major Cycleways, there will be more pressure on the shared pathways in the network. 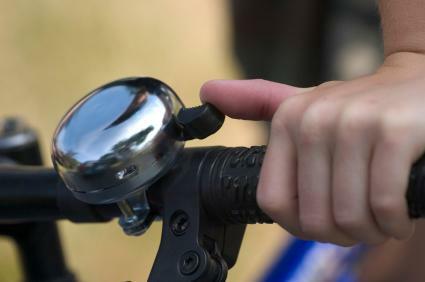 More use of bike bells by riders would help to warn pedestrians of their presence and encourage them to make space to pass. Already some signs and markings around Hagley Park encourage warning others when approaching. Riders can get mixed reactions to ringing their bells; some pedestrians find it helpful, but some evidently can find it just as startling as no bell at all. I suspect that may have more to do with when exactly you ‘ding’; there is certainly a “sweet spot” so that you are neither too close to startle people nor too far that they don’t hear you either. Getting a bell with the right, friendly tone is pretty helpful too; some modern ones can sound a bit terse. We should make sure that we reward “good behaviour” from pedestrians who respond appropriately when hearing a bell. If I ding my bell and people in front of me make space to pass, I always make a point of shouting “thanks!” as I go past. No amount of bell-ringing or calling out will help if pedestrians are “wired for sound” and listening to their favourite music or whatever. Similarly, there will always be some pedestrians who are deaf or hard of hearing. Accept that you can’t get the attention of everyone out there, and just hope that they are mostly good at keeping themselves clear of other path traffic. Ultimately, if we’re experiencing significant levels of conflict on a cycle route, that suggests to me that the infrastructure isn’t quite right. As discussed previously, we already have a lot of shared paths that are clearly inadequate in width for the volumes of pedestrians and cyclists that are often present (Rolleston Ave anyone?). Most of the new cycleways are expected to be a much better width for sharing (e.g. South Hagley Park) or have completely separate facilities for each group (e.g. Matai St E). The challenge will be in ensuring that we budget to retrofit our existing pathway stocks as well, either by widening or creating parallel facilities. A bike bell is a pretty cheap addition to your kit from most bike retailers. There are a variety of ringers available, including those you twist or flick. If you want something particularly stylish to match your ride (or your tastes), you could check out the pretty cool offerings from local online supplier Bells & Whistles. And if it helps to keep the peace with our fellow path users, that’s a pretty good investment. Do you think that bike bells are a good idea? Bells are rubbish. Use your voice (nicely) “Hi, pardon me, on the right” from ~5 metres away is fine. A bell unambiguously indicates a bicycle. In crowded environments such as Wellington’s waterfront, I suspect many pedestrians tune out the voices around them. I use my bell heaps around Hagley Park particularly – much easier than calling out, tho I do that sometimes too. My 12V horn on the front rack (which is mainly for cars) occasionally gets used on the ‘wired for sounds’ types. this is an old problem and bells aren’t the whole solution. I ran around the park at lunchtime every day for thirty years and the reaction from some slower pedestrians was exactly the same – because someone wasn’t paying attention they got a fright. Use of the park by paid fitness instructors and their masses amuses me as someone who has played sport in the city all my life and had a sizeable proportion of my annual subs siphoned off to CCC parks budget for maintenance but that is just an aside. I find slowing and a polite hello and thank you works well. I did have cause to berate an irate Irishman in Hagley Park last year who demanded of the young schoolgirl in front of me (who was politely following the same etiquette) “ring your F’ing Bell, ring your F’ing bell” … bells were almost rung but not of the bicycle type. There are muppets on both sides. Tolerance and goodwill to all men generally works. When we conflict people don’t generally end up in hospital so what is the real problem? A bell just works, when people hear a bell ringing they think “bike, move over”, sometimes anyway. I have had a bell malfunction and have been using the “Hello, pardon me” kind of warning and people stop for a second and then just scatter in all directions. It definitely does not work as well, plus the bells high pitch seems to be more audible by the headphone folks. That’s it, I’m ordering another bell right now! The number of times I encounter walkers etc on shared pathways walking right down the middle with their earbuds on full blast is incredible. I always call out “passing” as I approach anyone on the pathway, but I literally have to yell at theses clowns multiple times before they wake from their own little world and act all surprised and indignant that a cyclist wants to pass them. “Hope that they are mostly good at keeping themselves clear” ?? Really? How about “give way to the slower user” as per NZTA recommendations..
Obviously we ultimately aim for separate paths for waking and cycling, but until then I’m fearful that momentum for cycling will render shared paths a feared zone for the most vulnerable people on foot, with guide dogs, hearing challenges, and in wheelchairs. Perhaps I should clarify: if I was say a hearing-impaired path user (i.e impairment not obvious to other users) I would be walking a fairly consistent line, keeping to one side and not making any sudden crossings. It would be nice if all users took this approach, but at least those with full hearing should be able to get advance warning via a bell. They are common place in Europe and obligatory in UK. Most pedestrians seem to appreciate their being used. There are many shared pedestrian/ cycle paths in Europe and it makes everything so much easier when they are used. In NZ many cyclists seem to abhor bells. We should make bike helmets voluntary ( only Oz and NZ require by law they should be worn) and bells compulsory. As someone who just likes being out on a bike, I’m not sure making bells compulsory is the best answer. Yes, of course on my town bike – I have a bell, and it seems to be appreciated. But if I’m cruising home across the park on a racing bike at the end of a long ride, would I be expected to carry a bell? If I continue to call out politely would that work just as well? 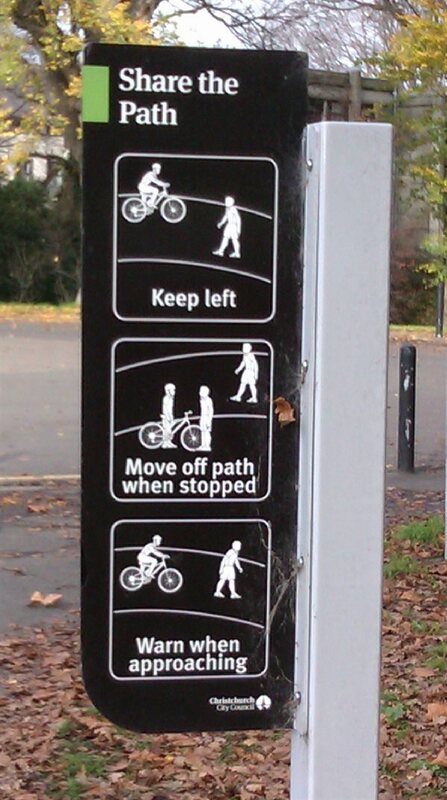 Perhaps it’s less the specific mechanism and more that we respect other users of the shared pathways.